iOS 10 and iOS 9: what are the differences? First, iOS 10 allow you to remove all apps you don’t use. On iOS 9, users feel inconvenient when they can’t get rid the pre-installed apps on their iPhone. The only thing you can do is just let them on a folder. With iOS 10, those apps can be removed from your phone completely. Secondly, iOS 10 is more interesting than its predecessor-iOS 9 with “emoji”. With this new feature, users can transform texts to emoji and send messages will be more fun. Fourthly, iOS 10 allows you to send stickers and GIFs on Messenger. 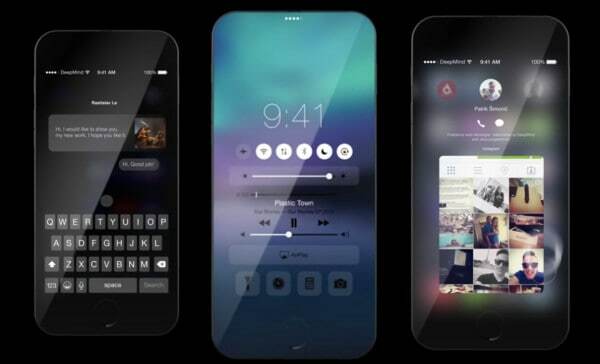 This makes iOS 10 more attractive than iOS 9. Just download GIFs and stickers from App Store and freely sends them to your friend. Fifthly, comparing to iOS 9, the new iOS 10 helps access to iPhone camera app easily and simply. Simply, just swipe the lock screen to the left and everything are ready for taking photos. Last but not least, iOS 10 allows the music and camera app run at the same time. On iOS 9, music will be cancelled when you access to the camera app. Now, you can freely listen to music while taking photos. Those are six significant differences between iOS 10 and iOS 9 .Generally, iOS 10 bring better experiences for users. However, this new iPhone OS still contains some limitations and bugs. For example, you need to double click on HomeButton to unlock the iPhone’s screen, which is claimed to be more convenient than usual. On iOS 9, you just need to Slide to Unlock. Besides, there are some reports about iOS 10 bugs, which is bricking iPhones. So, iOS 10 promises more interesting experients but it is a good idea to wait longer for the updated version of this new OS. Samsung Galaxy A9 Pro available on Sep 26 in India!